It’s the most wonderful time of the year! Why? 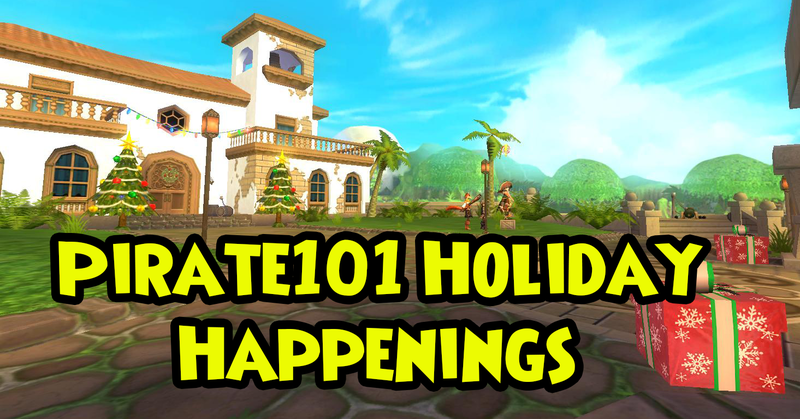 Aside from holiday happiness, winter break, and tasty treats, Pirate101 got a brand new festive update. Along with the usual decor and present boxes, we now have some evil gingerbread cookies to fight and hidden snowmen to find! Defeating a certain number of Gingerbread Ships will earn you some new badges! If you defeat 10 Gingerbread Raiders, you’ll receive the “Cookie Crumbler” badge. If you defeat 100 Gingerbread Raiders, you’ll receive the “Cookie Cruncher” badge. It’s unclear if there’s another badge beyond “Cookie Crusher,” but I’d keep a close eye on that Pirate101 Central thread for any updates. I’m still working on the “Cookie Cruncher” badge myself. 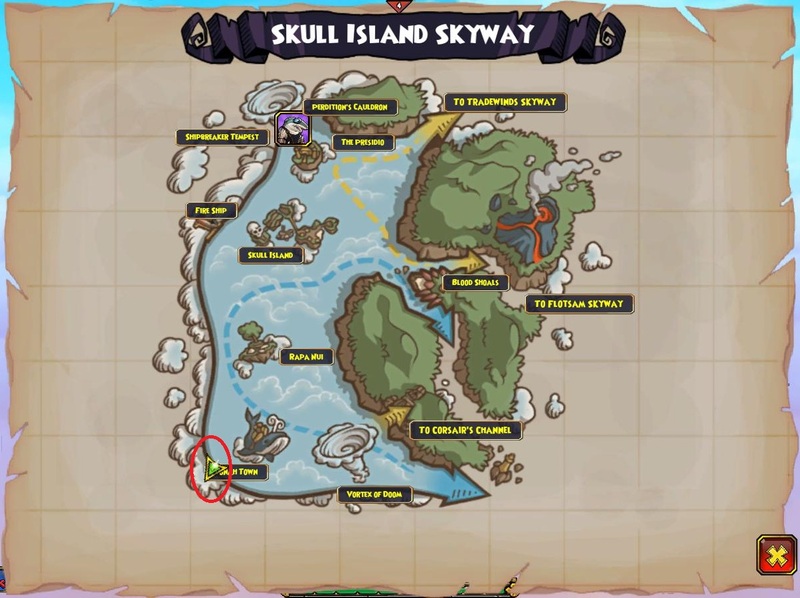 To make things more efficient, I’ve been exclusively defeating the Skull Island Gingerbread Ships. They’re the easiest to both spot and fight in my opinion. 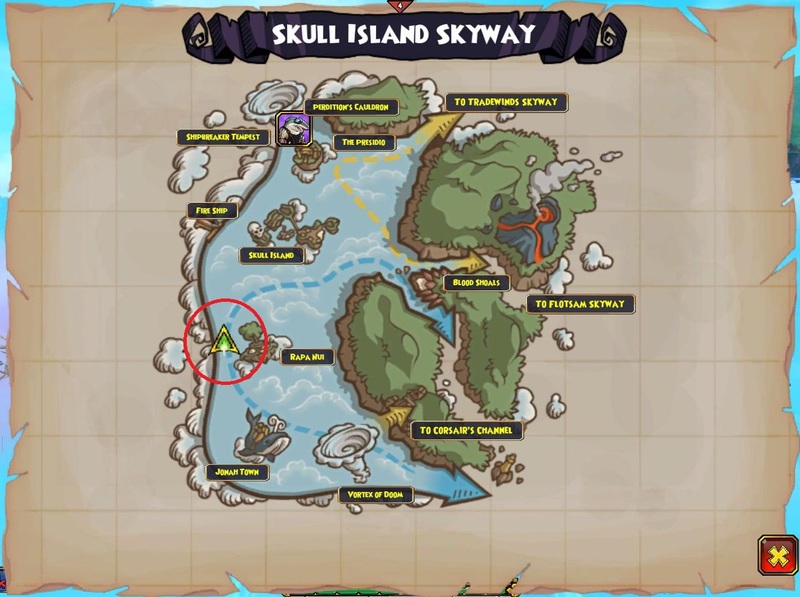 If you’re wondering where you can find them, they spawn near the Red Claw Ships (see below). 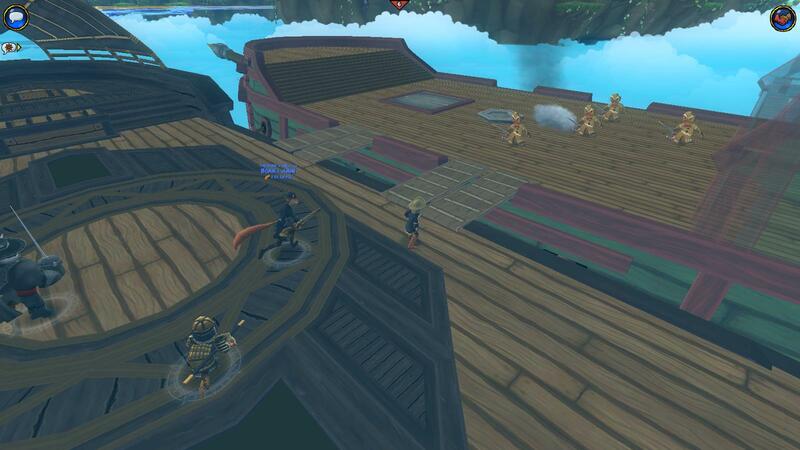 If you don’t see one right away, you can defeat some Red Claw Ships to spawn one or just simply switch realms. If badges aren’t your thing, perhaps edible gear is. 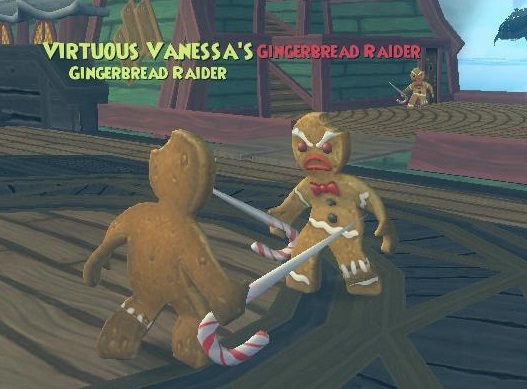 The Gingerbread Raiders drop some festive cookie-tastic wands and other holiday items. Also cool is the new “Mark of Gingerbread” doubloon. When used, the doubloon summons a cookie ally to fight with you. I actually just had my entire team pass so it was a full-on cookie vs. cookie battle. We won! 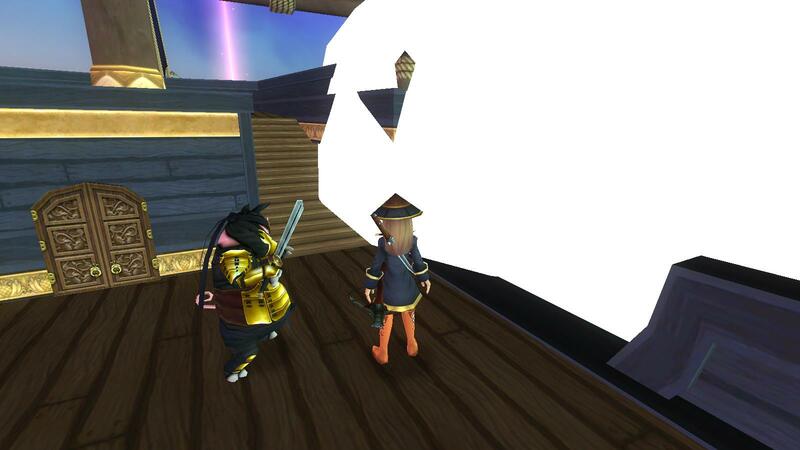 3 new gigantic snowmen are hidden in Pirate101’s skyways. Each snowman has a different badge for you to earn. This one’s a bit tricky. Not because it’s difficult to find, but because it doesn’t seem to trigger as easily as the other 2. 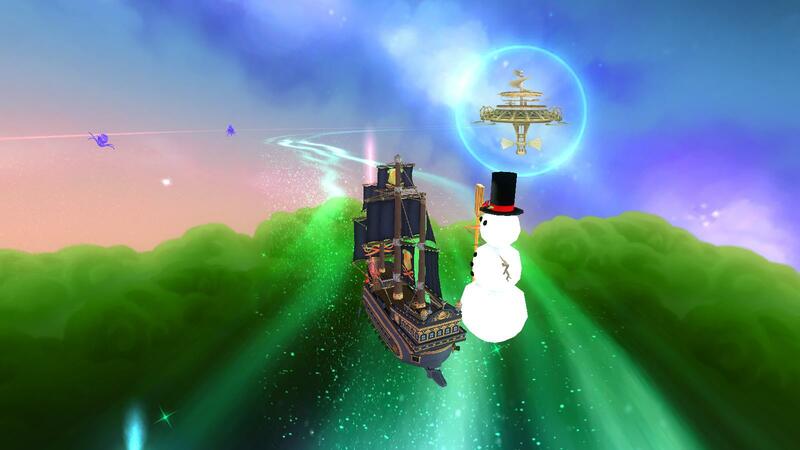 While I was able to obtain the other 2 badges by staying in sailing mode, I actually had to position the snowman on my ship’s deck, toggle into deck mode, and run up to it and touch it in order to earn this badge. I’m not sure if it’s meant to be like that, but it was pretty frustrating. 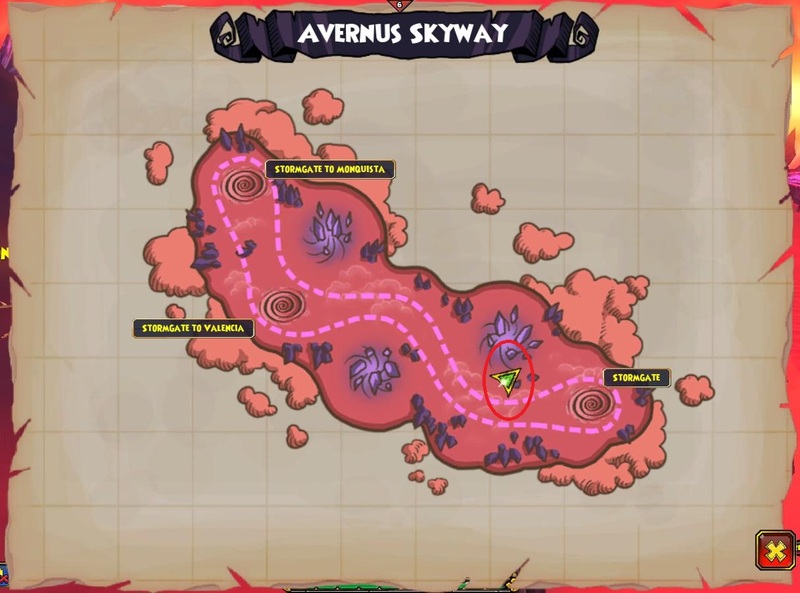 However, if you do succeed, you’ll receive the “Frosty Voyager” badge. 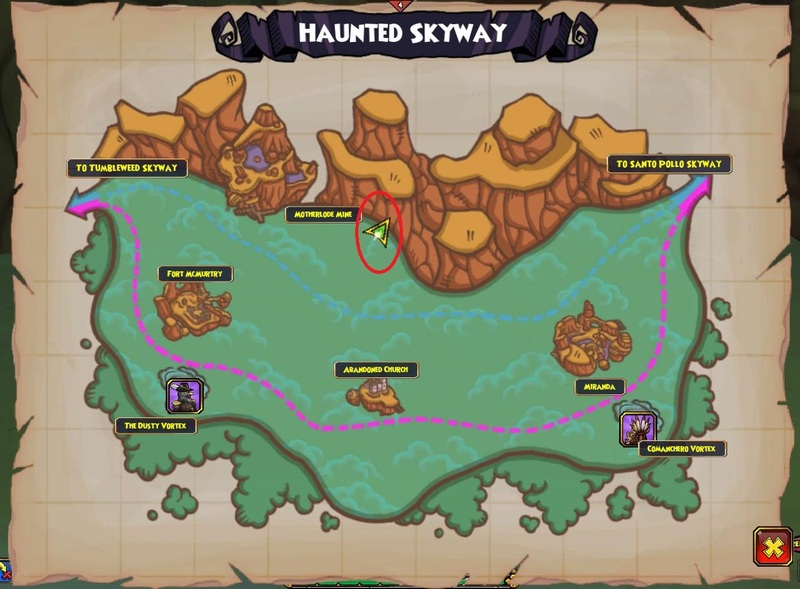 Stormgates don’t have maps, but the area is small enough that you shouldn’t have a problem finding the snowman once you’re in it. Have fun with the new festive update!